The story of Orpheus the legendary musician and his vain attempt to bring his beloved Eurydice back to life is a well known myth that has inspired composers, artists and poets for over 2,000 years But how many know or understand that in all probability Orpheus was the ‘Saviour’ of his Age. Orpheus, like all Teachers of the Ages had a mysterious birth , his mother was one of the seven Muses though his father was said to be mortal. His early childhood was spent in isolation and it was during this time that he developed his magical gifts of healing and drawing living creatures to him entranced by his music and teachings. The teachings tell us that death is not the end and the need for absolute faith and trust. They awaken the emotional centre in the human heart and compassion towards life in all forms. After his death Orpheus was raised up as a God and upon his life and teachings were based the Orphic Mysteries. His descent into the Underworld precludes the story of Christ descending into Hell. This workshop will look at the prime teaching of that age as well as the contribution made by Orpheus and the probability of his being the Chosen Teacher of the Age of Taurus. We will examine the way in which his life work matches that of all the Cosmic Christs ; the inner meaning of his journey into Hades and the loss of Eurydice. We shall be looking at her status as well as the symbolism and cause of her death… (Snake Bite). 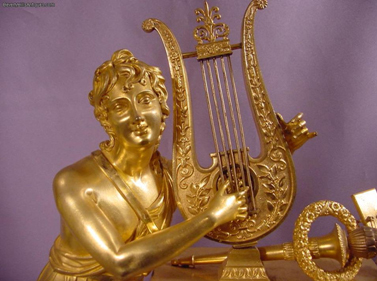 We will also discuss the manner of the death of Orpheus himself, his link with Apollo and the art of Healing via music. The Saturday ritual extending into the evening will take the form of a major ritual drama and revolves around Orpheus in Olympus, the death of Eurydice, and the descent into Hades and its relevance to the (legend) of Jesus descending into Hell to redeem those born before his coming. The cost is £140, deposit £70. To book a place, contact Maria-Teresa Harmer at mariateresaharmer@yahoo.co.uk or call 07963428992. Dolores is also giving a talk on on the Power of Spells, Curses and Blessings at Atlantis Bookshop, 49a Museum Street, London WC1A 1LY, on the 5th November. To reserve a place for the talk, contact Bali on 020 7405 2120.